Have you ever thought why every workout you have ever done stopped at the neck? Or wondered why traditional yoga calms the mind, tones the body but forgets the face? Are you looking for a natural way to look and feel younger and healthier? 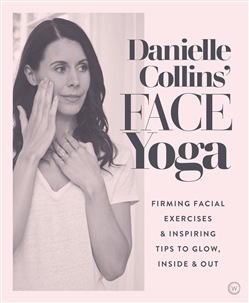 Danielle Collins, TV's Face Yoga Expert, believes we should all have the opportunity to look and feel the very best we can for our age and to care for our face, body and mind using natural and holistic techniques. Her method requires just 5 minutes a day and could not be easier to get started. Integrating practical facial exercises with inspirational lifestyle tips, including diet and skincare, Danielle Collins' Face Yoga is a revolutionary new programme to help you achieve healthier, firmer, glowing skin..
Acquista Danielle Collins' Face Yoga in Epub: dopo aver letto l’ebook Danielle Collins' Face Yoga di Danielle Collins ti invitiamo a lasciarci una Recensione qui sotto: sarà utile agli utenti che non abbiano ancora letto questo libro e che vogliano avere delle opinioni altrui. L’opinione su di un libro è molto soggettiva e per questo leggere eventuali recensioni negative non ci dovrà frenare dall’acquisto, anzi dovrà spingerci ad acquistare il libro in fretta per poter dire la nostra ed eventualmente smentire quanto commentato da altri, contribuendo ad arricchire più possibile i commenti e dare sempre più spunti di confronto al pubblico online.